The Museum’s depot in Acton Town is a brilliant place. It’s full of fantastic objects, from trains to hat badges, posters to taxis. The Depot is a working museum store housing over 370,000 objects, and as such the number of labels and text panels we have on display needs to be limited. Objects are moved in and out of the store on an almost daily basis, and work is done by the Museum’s curators and volunteers throughout the year, resulting in objects changing their location regularly. 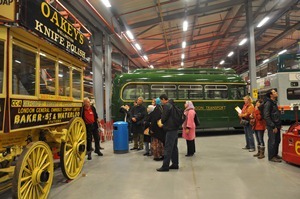 The Museum opens the Depot up to visitors for guided tours on a monthly basis, and twice a year we open the entire space up to the public during our Open Weekends. At present there are only a few pieces of interpretation around the store, so often visitors are left to guess what some of the items they are looking at are, or reply on staff and volunteers to advise them. 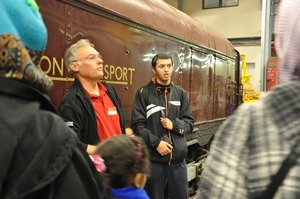 At London Transport Museum we have a fantastic group of Museum Friends and volunteers, each with their own incredible knowledge and opinions on items in our care. Some are involved with heritage outings, and others spend many hours carefully restoring objects to their former glory. Many of the Friends have a history of working for London Transport in some way, and as such can offer invaluable insight into the history of an object – how it worked, what it was used for, and why it was eventually decommissioned. In the summer of 2011, a new trial project was launched in partnership with some Friends and volunteers. Called Depot Discoveries, this is a film based project which involves capturing the knowledge and stories the Friends have about objects in our collection on camera. The volunteers were trained in how to make films, so work both behind and in front of the camera, and so far seven short films have been made (they are in the editing process at the moment). One of these features our volunteers Dilwyn speaking about the vast ticket collection we have at our store. The films are all shot in situ with the objects they are referring to, allowing for viewers to gain an insight into how they work, what they represent and when they were used. The plan is for new labels to be created in the coming months, each featuring a link to the films on YouTube. Visitors to the Depot will then be able to access these stories on their smart phone devices, using the Depot’s wifi network, thus bringing these objects to life. If it’s a success, we may even look to getting some devices for people to borrow, but we shall see! It’s early days at the moment, but there has been a lot of enthusiasm for the project so far. Are you a Museum Friend or volunteer? Would you like to speak on camera about an object at our Depot? 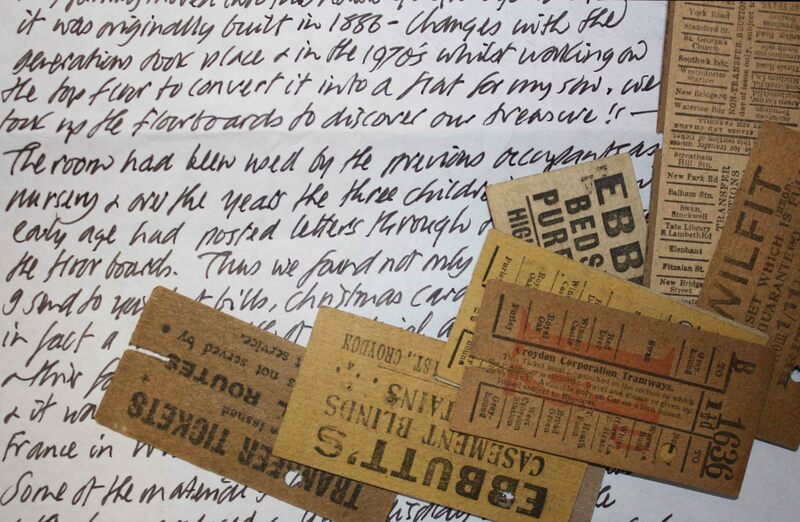 Please contact Jen Kavanagh at jennifer.kavanagh@ltmuseum.co.uk if so! This week’s poster is a Museum classic. 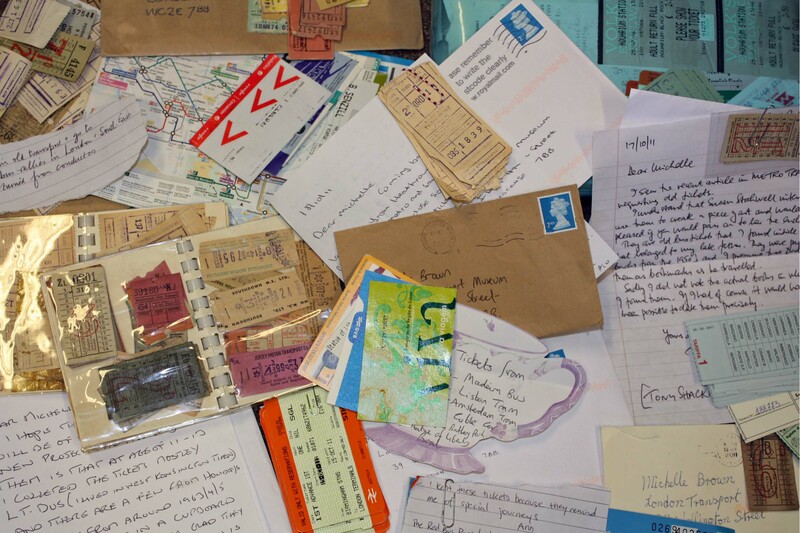 It has been selected by a group of ESOL learners as part of London Transport Museum’s Access to Art project in partnership with Ealing Libraries. For the past three weeks 16 individuals from countries including Egypt, Iraq, Syria, Sri Lanka and Yemen have been meeting with ESOL tutor Susan Smith at Acton library and learning how to navigate their way around the London using different types of transport. 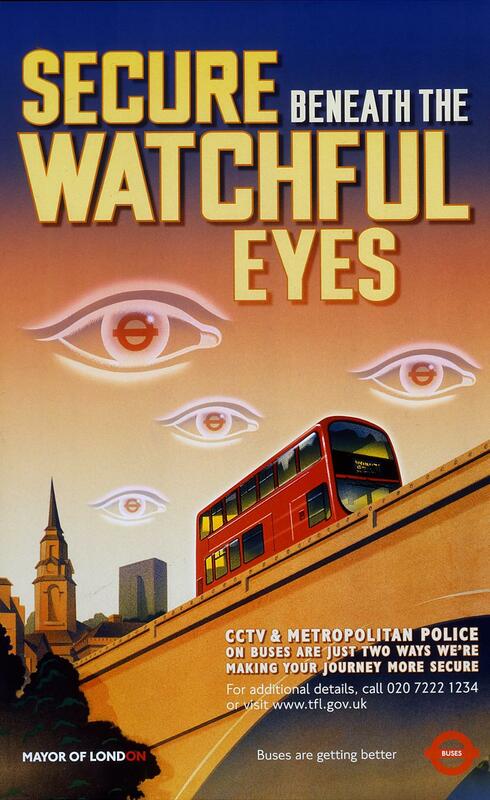 Under investigation have been tube maps, bus maps and tickets as well as giving and receiving directions for travel. Now in the fourth week of the project, today has been particularly special as the group got the chance to visit the Museum Depot and were led on a tour by the fact-fuelled volunteer John Campbell. The group responded wonderfully to the historical objects and to John peppering him with lots of inquisitive and funny questions. 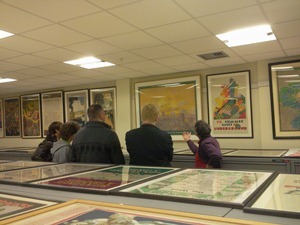 After a break for tea and biscuits the group headed into the art store to view a number of artworks including Fougasse’s humorous wartime tube etiquette posters. 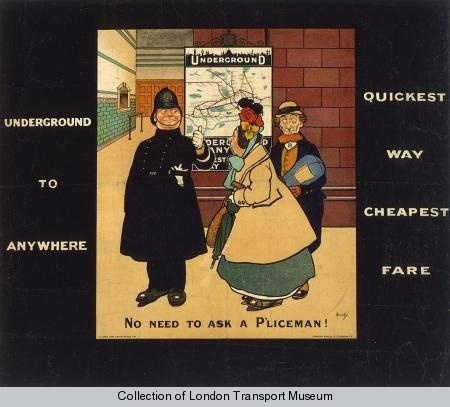 The artwork that drew much comment is the 1908 poster No need to ask a P’liceman. The group noted the difference between the artwork and the London Underground poster such as the appearance of a ticket office that was absent in the original artwork and how different the geographical tube map looked in comparison to the schematic tube map we use today. There was a bit of confusion amongst the group as to why you would ask a policeman for directions on the tube. “Won’t you upset him?” one person asked. We’re going to discuss this in more detail in our penultimate session next week but we’re also curious to hear your thoughts about the poster. So, what do you think? 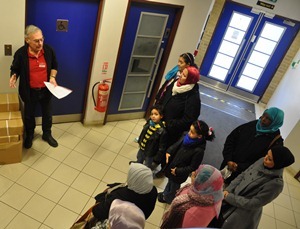 To see photos of the learners in action at the Depot on 30 November 2011, click on the link for the Flickr blog and select Access to Art ESOL project: http://www.flickr.com/photos/ltmposters.